On behalf of the graduate departments and programs at Oklahoma State University (OSU), welcome to the OSU Graduate College website. An integral part of the OSU mission is to serve the state, the nation, and the world by "providing its students with exceptional academic experiences and by conducting scholarly research." The Graduate College contributes to this mission by offering a wide variety of programs of advanced academic study beyond the baccalaureate that are academically stimulating and responsive to the needs of our rapidly-evolving society. Our overarching goals are to create an environment conducive to learning and scholarly activity in a diverse university community and to provide you the best post-baccalaureate education possible, both in formal coursework and in the research and creative experiences associated with thesis and dissertation work. Oklahoma State University is a land-grant university that has offered its students quality degree programs for over a hundred years. The University has more than 1,000 members of the graduate faculty, many of whom are internationally recognized scholars in their fields. We offer nearly 200 programs, options, and specializations leading to certificates, master’s, and doctoral degrees, including several interdisciplinary programs. Oklahoma State University is a leading contributor to graduate education in the state, the nation and the world: over 1000 master’s degrees and almost 200 doctoral degrees awarded each year. Our graduate programs are supported by internal funding and by a strong base of externally sponsored research. 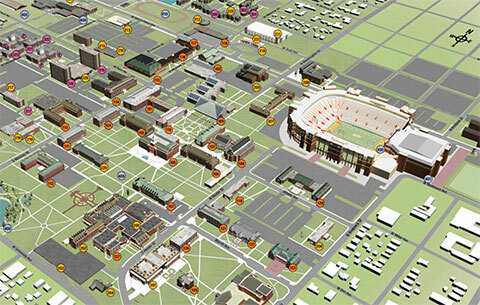 Graduate students at OSU work on state-of-the-art research and creative projects in a wide variety of areas. Competitive fellowships and assistantships, tuition waivers, and comprehensive health insurance plans are available to provide support to graduate assistants as they pursue their graduate studies. The Graduate College website includes information on our advanced degree programs. It also provides important information for current graduate students and faculty on Graduate College polices. Essential materials, such as plans of study and graduate faculty nomination forms, can be downloaded from the website. For prospective students, the site also provides information on the many graduate programsthat we offer and links to department and program home pages, which permit you to explore the many facets of these programs in greater breadth and depth. We hope that this information helps you make the decision to pursue a graduate degree at OSU with confidence. We also encourage you to contact the Graduate College office with more specific inquiries. The staff is excited to assist you with identifying a graduate degree program and obtaining your graduate degree. All of us at OSU wish you the very best as you pursue your quest for knowledge through graduate education, and we look forward to welcoming you to our community of scholars at Oklahoma State University.